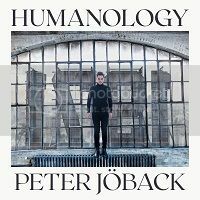 The second single from Peter’s forthcoming album has been released. “Shape of You” is a song written by Peter himself, Kathryn Williams, Tobias Fröberg and Tobias Karlsson. It is produced by Tobias Karlsson and mixed by Ronny Lahti. The choir on the song features Joseph Clarke, Joachim Bergström, Kathryn Williams, Jessica Fox and Mariah Hargrove. The song is available from the usual digital platforms. Peter premiered the song on the TV4 show Sommarkrysset on 4 August 2018. He also performed the previous single “The Mask”. The album is due out at the end of October 2018. This entry was posted in Appearances, Releases, TV, Video. Bookmark the permalink.